Summertime is the best time to explore Vail’s natural surroundings, and with Collective Vail, a retreat at 4 Eagle Ranch, you can play and stay in a place that’s closely connected to the great outdoors. 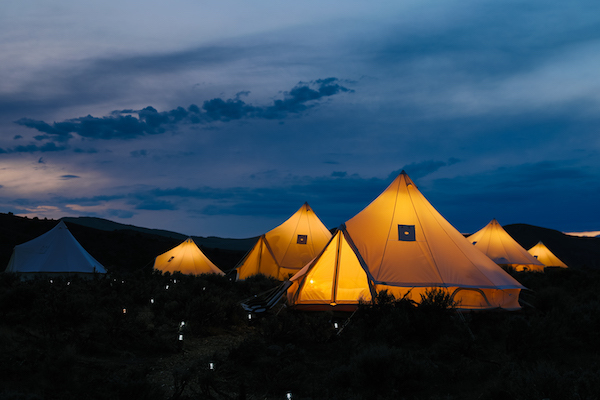 Collective Vail offers luxury camping accommodations, so you can settle in and get into the glamping—glamorous camping—groove. Once you check in, though, you don’t have to completely check out from the world as you know it. Think of Collective Vail as a basecamp for exploring all that the Vail area has to offer, including rafting with Timberline Tours on the nearby Colorado River. 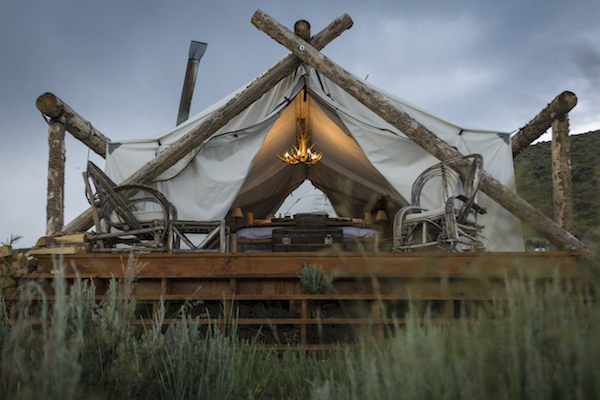 Collective Vail’s luxury camping accommodations are perched on a secluded ridge overlooking 4 Eagle Ranch in a setting like no other. Here, you’ll get the full experience of a wide-open Colorado sky with the mountain peaks of the Sawatch Range rippling along the horizon. Accommodation options include the rustic comforts and privacy of a Summit Tent outfitted with sumptuous linens, electricity, and an en suite bathroom with a rain-style shower, full flush toilet, and hot running water. Or you can opt for a Journey Tent, situated in a communal setting yet still outfitted with all of the essentials and some creature comforts, too. Both tent types are equipped with a wood-burning stove, so you don’t have to worry about getting a chill in the cool mountain air. 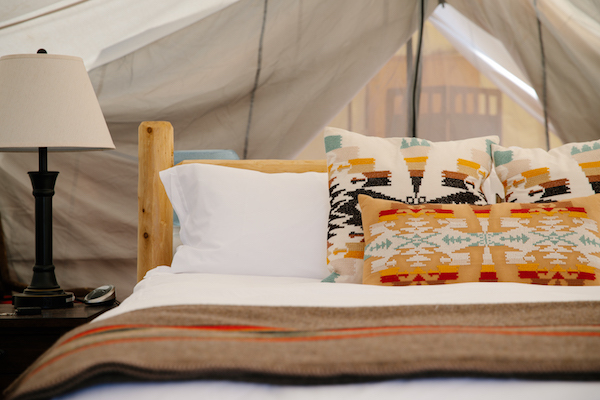 And whether you’re sleeping in a Summit Tent or a Journey Tent, you’ll get to experience the simple joy in plush down comforters and Turkish towels, along with the personal touches and eclectic décor style that are a signature of Collective Vail. Dining options include provisions for the addition of breakfast, lunch, or dinner during your stay at Collective Vail. 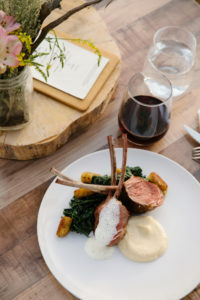 By reservation, the farm-to-table dinner is prepared onsite by a Collective Vail chef and can be enjoyed under the cover of Three Peaks Lodge or out in the open at tables where you can dine while taking in breaths of fresh mountain air. At Collective Vail, you can choose to relax, wine and dine, or head on down to 4 Eagle Ranch, where rodeos, horseback riding, and western dancing are all a part of the Colorado-inspired entertainment possibilities. And you can also easily add some river adventure to your luxury camping getaway with a Timberline Tours-guided rafting trip on the Upper Colorado River. 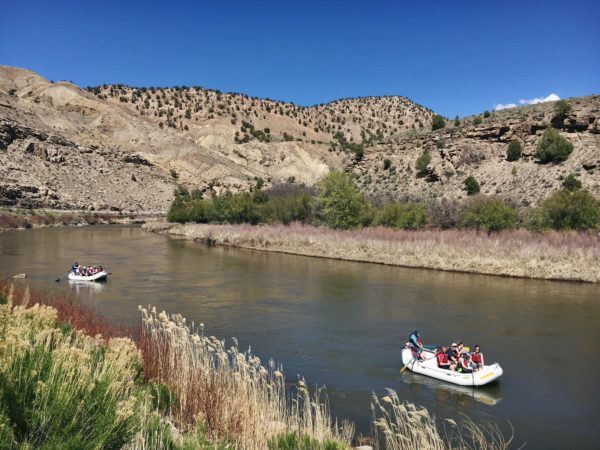 Collective Vail is located near the put-in location for Upper Colorado River rafting float trips, a relaxing way to spend a morning or afternoon during the summer season. The trip begins as Timberline Tours transports guests from 4 Eagle Ranch to its boathouse in Rancho Del Rio, where you’ll get outfitted with river gear and learn more about river safety before pushing away from the river’s banks. The Upper Colorado River, or Upper C, rafting trip spans more than 4 miles interspersed with sections of splashy rapids and plenty of scenic views. The Upper C has a Class II river rating, which means that its rapids are mild and appropriate for adventurers of all ages. Since guides most often paddle oar-framed rafts on this section of the river, Upper C rafting is a great family-friendly choice. Wildlife are often spotted while Upper Colorado River rafting. Birds ranging from red tail hawks to bald eagles and turkey vultures circle overhead while deer and elk are commonly sighted from the shore. Beavers and otters are often seen in the water—and sometimes an elusive bear can be spotted along the riverbank. The Upper Colorado River rafting trip comes to an end at State Bridge, Colorado, a river settlement that’s known for its summer music concerts and events. 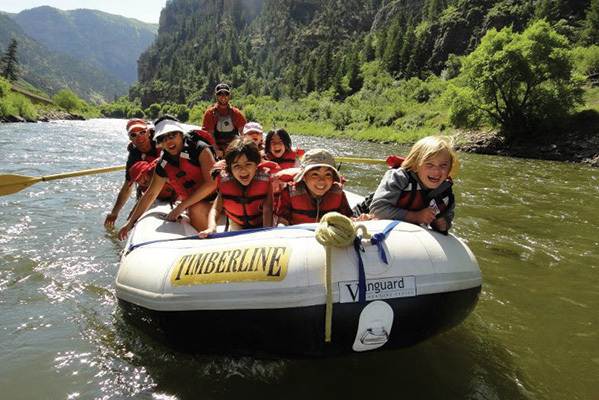 While the rafting portion of the adventure ends here, Timberline Tours will transport you back to Collective Vail at 4 Eagle Ranch, where even more opportunities for outdoor exploration await.